Roure is a Bermuda Triangle kind of place. You mean to head to the Korean joint up the road, or for some sushi or, you know. Try the kind of restaurant that Time Out tells you to try. The kind of place that would make you thinner or cooler or more successful. But then you pass Bar Roure and it all falls apart. 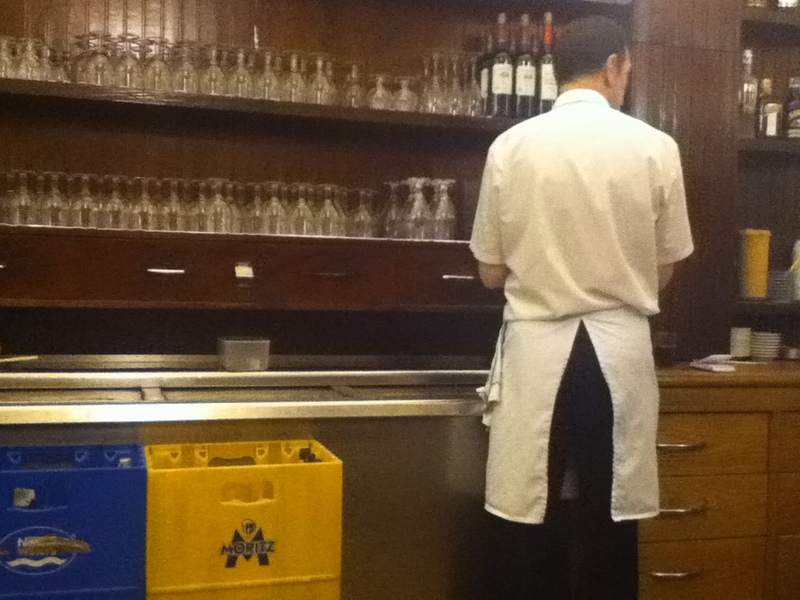 Who needs to be cool when you can have Roure’s lovely tapas and smiling waiters? And that’s it. Your Time Out plans are sunk. An old-school neighbourhood bar, the food is always good and (unusually for Barcelona) you are greeted like an old friend, even on your first visit. The wood-panelled interior is spacious meaning that unless the football is on, the odds of getting a table are pretty good. Oh, the food. The menu is long and life is short. Excellent tapas (especially the patatas bravas) and hearty sandwiches, as well as a three-course set lunch menu at €11 including wine, bread and dessert. Wednesday is paella day. Unusually for this type of bar, Roure serves decent puddings as well (including apple tart, cheesecake, the famous tarta de Santiago and delicious Spanish flan). Roure is also a good place to try a few of the tapas that are a little off the tourist radar – callos (tripe), pincho moruno (a spiced meat tapa) and cañaillas (sea snails) – as well as the house vermouth. Reliable source of good tapas, spacious and comfortable bar. We had to move to another barrio in an attempt to lose our Roure weight. The verdict: will we be going back? Yes. Possibly twice in one day.